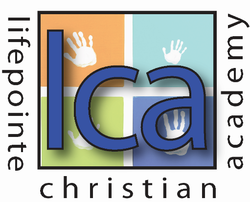 ​At LifePointe Christian Academy (LCA), our program objectives are centered on the knowledge that our loving God rules over all of creation. We believe He reveals himself to the world through His son Jesus Christ and through the written word. Our purpose is to empower each child to be a good steward of the gifts God has provided, to recognize God loves them and has a plan for them in the world He created. To do so, each class will utilize an age appropriate curriculum steeped in His word and enhanced through thematic units. The children will be read to from the bible and a prayer of thanksgiving will be said throughout the day. We will take every opportunity to give praise to our creator and utilize Biblical principals in every discipline we teach.